Kali is the embodiment of Mother Nature in all it’s cycles: death, destruction, rebirth and transformation. Kali, whose name means Time, is a reminder that the process of transformation in our lives is inevitable. She pushes us out of our comfort zones and helps us cleanse the old in order to make space for the new. This may be as simple as clearing out the clutter in our kitchen or bedroom, and can include shifting and releasing old relationships, old beliefs we hold about ourselves and old ways of being in the world. Change can create turbulence which can be unnerving at times, however, ultimately liberating and helping us to grow into our greatness, to be more empowered in living our our full potential. No great change has ever occurred without some degree of discomfort. Our awakening calls us to stretch our consciousness and release those things that feel no longer ‘on purpose’. Our deep power as women is our capacity to magnetize. Learning to receive, magnetise and allow is a vital life practice and a radical paradigm shift for many of us wanting to move away from constant striving and pushing. Feminine consciousness is about magnetic attraction and effortlessly drawing to us that which is needed. We may experience Kali as an energetic archetype in our breakthrough moments when we finally let go of something we’ve been struggling with or when we welcome the energy of the dark unknown. 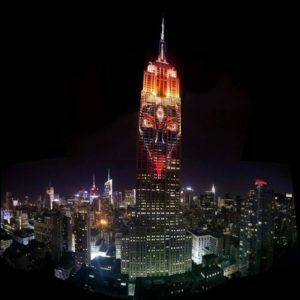 It is Kali energy that helps us take radical responsibility for our shadow parts, to cut through stuck patterns, to break out of cycles of over giving or over-accommodating, to speak our truth in a difficult situation, to honour our inner authority and celebrate the full expression of our passion. The Divine has no way of existing except through us. We are the eyes, ears, hands, mouth of the divine feminine. We are the carriers of compassion, love, fierceness, strength and transformation. The choices we make are expressions of these in the world. Enjoy my video on Kali which includes an exercise you can do on drawing on the support of Kali in your life today. Where can you use the DYNAMIC, elemental energy of Kali in your life? This half day with like minded women will give you the support and vibrational activation to make that shift in order for you to manifest the change you are seeking in your life: this may be around illness, heartbreak, financial loss, career change—anytime a new boundary is pushed Kali is there to help release the old and open the way for the new. Intuition, trusting, synchronicity, receiving and allowing are all keys to manifesting from the sacred feminine that we will be practicing together during our Kiss of Kali workshop. How might the Kiss of Kali Workshop help my life circumstances? Listen to that voice inside that is losing patience with the old way of doing things and to stand for your authentic truth around an issue. Recognise where you’ve had enough of accommodating hurtful or selfish behaviour and where you need to set stronger and clearer boundaries: Whether it’s with a work colleague, friend, your partner, a family member or your children. Practice saying “Stop!” “No More” To say “No!” and say it like you mean it, clean and clear. Release habituated inner thinking and self talk that is mean, judgemental and diminishes you and cultivate an inner voice that is more compassionate, self loving and supportive. Get really clear about purifying your energetic field around those relationships that always leave you feeling bad about yourself, doubting yourself or diminishing your inner light. Shift stagnant energy, for greater creative expression, open to a breakthrough or an understanding that may have previously eluded you. Raise your vibrational life force to experience greater empowerment, joy and passion. Feel the movement of your own kundalini energy moving through our body through movement and dance. Goddesses in human form help us access the divine within ourselves that we can relate to and learn from. They carry symbolic value. What to expect during the KISS OF KALI Workshop? 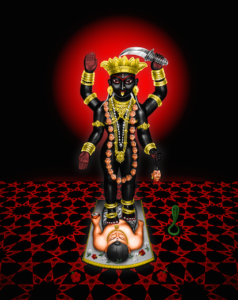 Kali is a fierce protector and a compassionate goddess. She is here today to help us heal, strengthen our resilience, our inner knowing, wisdom and creativity. 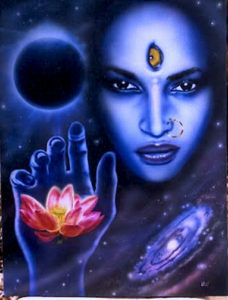 To awaken the Goddess energy of Kali within us is to awaken the transformative wisdom of your innate divine power. Kali reminds us that our lives will never change until we ‘kill off’ our inner demons – those unhealthy patterns, negative self talk and self beliefs that repeatedly create suffering in our lives. She helps us release those outdated, unproductive beliefs and inner judgements that create blocks in our growth. She is the energy that activates us to look at those areas in our life that need a good clean out, a psychic detox – especially where we may be stuck on a guild ridden cycle of over accommodating and people pleasing. Our half day together is full of rich content, meditations, life affirming movement and empowering exercises that are aimed at shifting stuck areas in your physical and emotional life, relationships and work life. Together you will be guided in practicing tools for opening to your inner guidance, finding your authentic voice and finding greater balance between giving and receiving. The courage and liberation of speaking your truth. Connecting to your inner guidance, inner authority and inner strengths. Clearing out the old, decluttering and making space for the new that may yet be unknown. Honouring the power in your light and dark aspects. Celebrating your brilliance and dignity just as you are. Experiencing greater choice and inner freedom. Celebrating the the relief and outpouring of energy when something old or stuck has finally been released!! 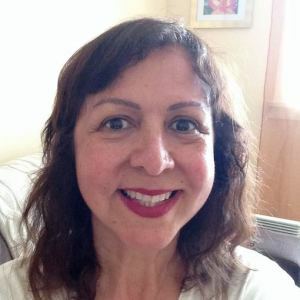 Shushann Movsessian MappSci (soc.ecol),DipPOP, has a private practice in Coogee as an experienced, holistic psychotherapist, soul life coach/mentor, teacher. Her training and experience draws on women’s psychology, eastern spiritual philosophy, mysticism and a deep commitment to work in the divine feminine. Shushann has been on her own soul journey in healing and empowerment of the sacred feminine which has led her to spend time with the Shipibo women shamans in Peru as well as healers and elders in Northern Bali. Her work has included running spiritual retreats in Bali for women, Soul Spa workshops in Sydney, as well as facilitating workshops for fathers and daughters, rites of passage puberty weekends for mothers and daughters.